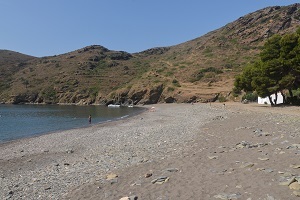 You will find 8 beaches in Roses :6 sandy beaches, 3 pebble beaches and 5 creeks. 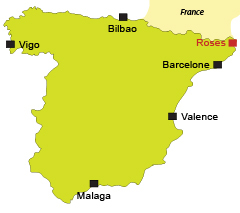 The seaside resort of Roses (Rosas in Castilian) is the most important resort near France, Mediterranean side. She is more French than Spanish (Perpignan are regulars). 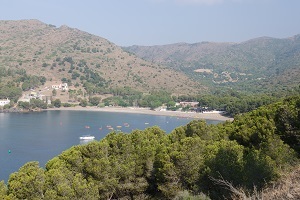 Its strong attendance in summer removes its authentic side despite the presence of some interesting buildings (Santa Maria church, the town hall with its Art Nouveau style, the castle of Trinitat with one of the most beautiful views of the gulf of Roses, its fishing port and citadel). 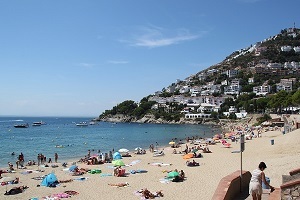 However, its geographical position (south facing with hills that protects it) is a real asset (this part of the Costa Brava is often sweeping through the tramontane, including in summer). 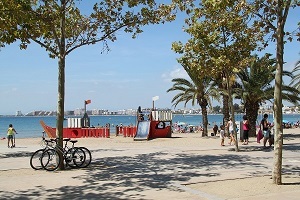 West side, on the edge of Empuriabrava, we find the district of Santa Margarida with many resorts and a pleasant pedestrian promenade on the seafront. It is the most recent district of Roses and the most seaside. The different beaches of Roses are composed of sand. 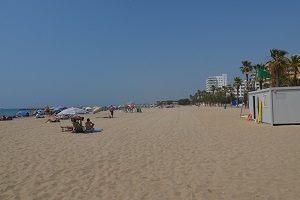 The closest to the city center extend for several hundred meters torwards the beaches of Empuriabrava. 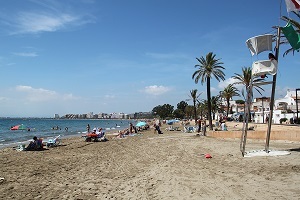 They are very well equipped and supervised in summer (public and private areas, restaurants, cafes, water sports, …). On housing side in Roses, no real problem…the supply is abundant and varied. From the small hotel (we call them the Hostal ) to the big complex, everyone will find his account in relation to his budget. 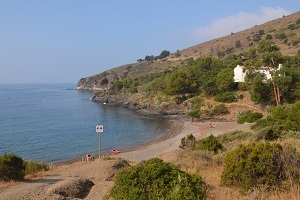 Near Roses, the village of Cadaques is unmissable even if the beaches are not interesting. 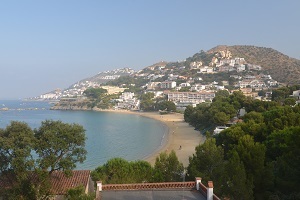 To the south, we really appreciate the authentic villages around Begur and Palafrugell.